Do you think that DHS trying to get case dismissed is a good thing? Because they are anyway going ahead with OMB review for proposed rules right. So how can anyone stop them from publishing the rules if there is no lawsuit. I have shared my analysis above. I filed for H1 to H4COS and EAD concurrently on Sep 24th in VSC and on March 20th 2019 my EAD got approved. I have received the courtesy copy of EAD and my EAD card in mail. When i called USCIS to check on my H4 status they told that my H4 application has been approved on March 20 and they have sent the approval documents to my lawyers address. My lawyers have not received the documents yet, most likely it got lost in the mail.I can request for duplicate H4 approval notice only after 30 days .There is no change in my online case status for H4. It still shows as “Case was Received” . What is the best to do in this scenario ? Wait for 30 days and then apply for duplicate H4 ? Not sure how long it takes for duplicate H4 approval notice. I had plans to go India this month, is it possible to go to India and get H4 stamped ? Your question about H4 approval copy not recieved is out of scope of this article. I have added it to our forum and answered it there. You can ask follow up question in the forum itself. We reply within 1-24 hours. Hi Anil, need your input pls. My spouse job got impacted this Friday in a mass layoff and transition time is 2 months.I am doing my M.S on H4 EAD with 3 more terms to complete and doing internship currently.Considering the worst case, is it a good idea to go for F1 stamping in India,citing the reason of not being in a position anymore to be dependent on my wife h1b. My EAD expires Feb 2020. The chances of approval for H4 to F1 are 50-50 based on the experiences that i have heard from people. The best option is for your spouse to get back to H1B status as early as possible. I am trying to book a visa interview for my wife (who does not have a visa yet) and myself. I have a valid h1b, and on the website I was told I was eligible for visa waiver. Do I pay the fees for both of us together and schedule the interview for her or should I create a separate profile for her and schedule it from there? Your question about H4 visa stamping is out of scope of this article. I have added it to our forum and answered it there. 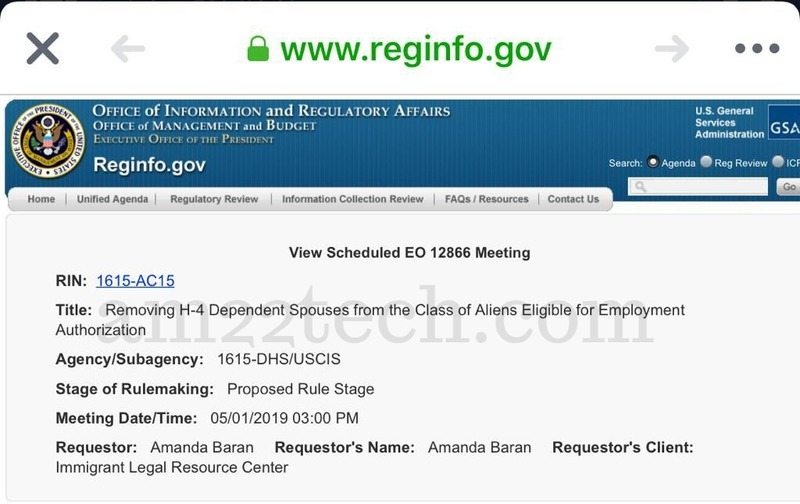 I know its too early to tell, Can any Lawsuit delay or stop H4 EAD removal? Is there any remote possibility of it? Depends on the court and the judge. Chances are high that it will be blocked by lawsuit. Do you know at what stage in this Revoke Process we will start seeing any lawsuits? is it because they are waiting for the rule to published before filing any law suits?? Yes, people and attorneys are waiting for the rules to come out. Once they know what DHS plans to do, then they will prepare their case and argument and then file lawsuit. If my current company A filed my wife’s h4 EAD extension and is pending, and then I jumped to a new company B, how would the h1b transfer impact my wife’s EAD extension? 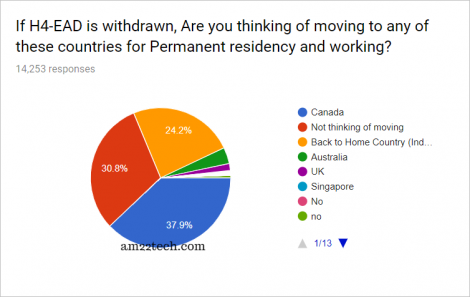 And would the new h1b transfer premium processing be able to accelerate the h4 EAD extension case? Thanks! 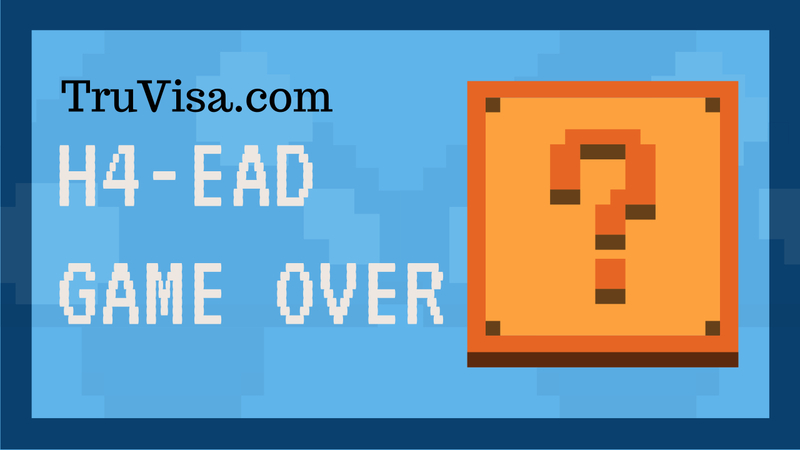 Your question about H4 EAD pending extension status after H1B transfer is out of scope of this article. I have added it to our forum and answered it there. I am not sure why did they reject it and what I need to do next. If I need to resubmit it the form does it have to be today to not go for biometric ? Your question about H4 and H4 EAD old form rejection is out of scope of this article. I have added it to our forum and answered it there. I am waiting for my husband’s 140 and want to apply H4 ead. I’ve with H4 visa right now, but will start working in Canada next month. I want to ask if at that time the H4 EAD is not cancelled. Can I apply it while I am in Canada? Or I need to travel back to US, file the EAD request and wait until I receive the receipt and go back to Canada to work? Thank you so much! Your question about filing H4 EAD from Canada is out of scope of this article. I have added it to our forum and answered it there. At what points in the process can chances arise that the H-4 EAD revoke rule will not be enacted and the H-4 EAD practice will remain valid? I guess what I am asking is, is there anyone/anything that can happen which can stop the H-4 from going away or is hope, for the most part, lost already? A lawsuit in court may stop it. and average about $73,000 annually. computer science, bio-sciences, and other high-tech areas.